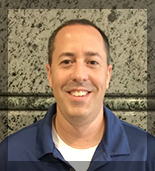 Gaetano earned his Masters degree in Psychology with an emphasis in Sport Psychology from Capella University. During an impressive 21 year Air Force career Gaetano performed, led, and mentored Airmen to meet mission requirements in no fail situations. His military experience provided insight into the importance of remaining calm under pressure, having confidence in your training and abilities, staying focused on the objective, and being both mentally and physically prepared to perform. As a Certified Mental Trainer, Gaetano fuses his military experience, mental training skills and sport experience to assist athletes and performers of all types with developing the skillset needed to perform in “The Zone”. Gaetano enjoys distance running, coaching youth sports, and works with performers and competitive athletes in all sports. Gaetano is based in Dallas and provides services globally via Skype.